In 6 weeks i'm heading off to China and Hong Kong for a bit of a holiday. So, in preparation for my trip i thought i'd play around with some weird and wonderful ingredients. 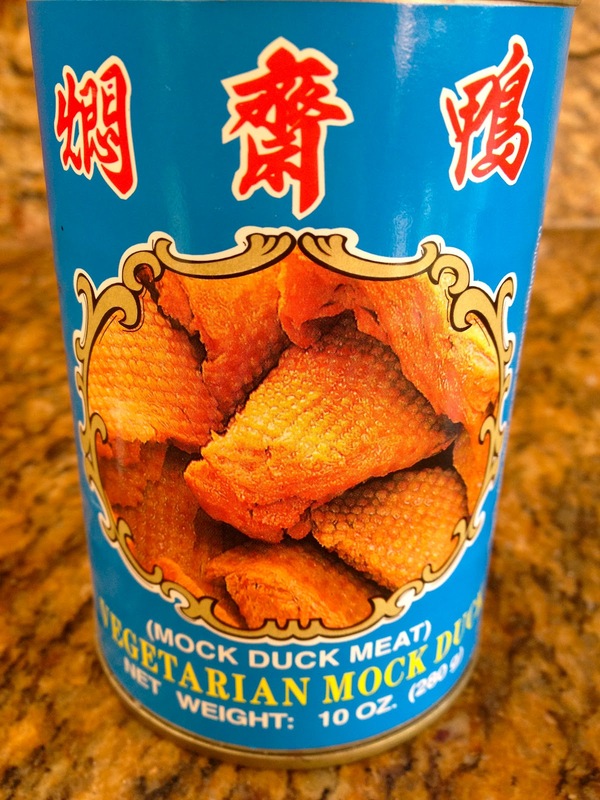 The first is mock duck - from a can! I know i'm not the first person to use this, however I still found this ingredient a bit gross, especially when it plopped out of the can! 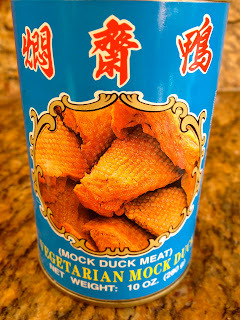 Investigating further, it seems that this mock duck is fairly harmless having quite normal ingredients - gluten, soy, oil. Nonetheless, by using this ingredient i have probably ruined my reputation of being quite a decent cook! 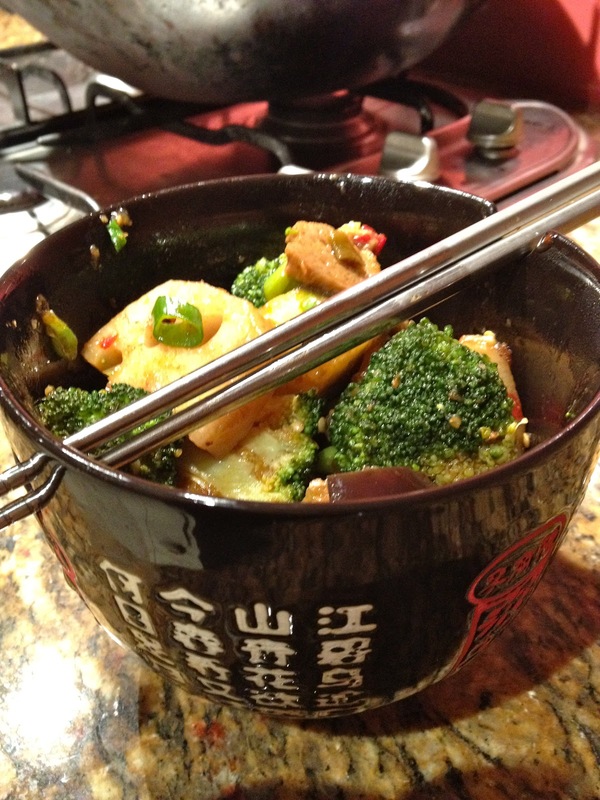 So, unsure of how it would taste I decided to make a stir fry, using multiple ingredients to drown out the taste/texture of the duck should it be terrible. Now I am a terrible hoarder of sauces and condiments, the pantry and fridge are full of bottles and jars from all over the world. 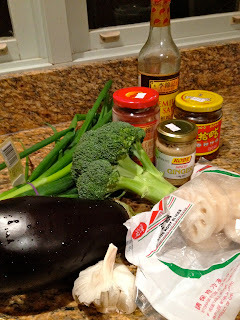 So I grabbed a few of my favourite asian condiments - chilli bean paste, ya cai, minced ginger and soy sauce along with some garlic, broccoli, eggplant, lotus root and spring onion and got ready to stir fry! The result wasn't too bad! The duck had a 'meaty' texture but its flavour was fine. To be honest the predominant flavour was the chilli bean paste. It still creeps me out that the duck came from a can! 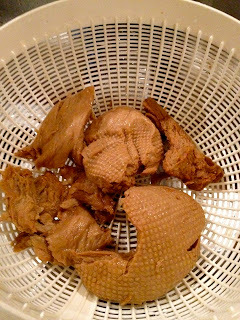 Just in case any of you have a penchant for mock duck i'll post the (rough) recipe below. 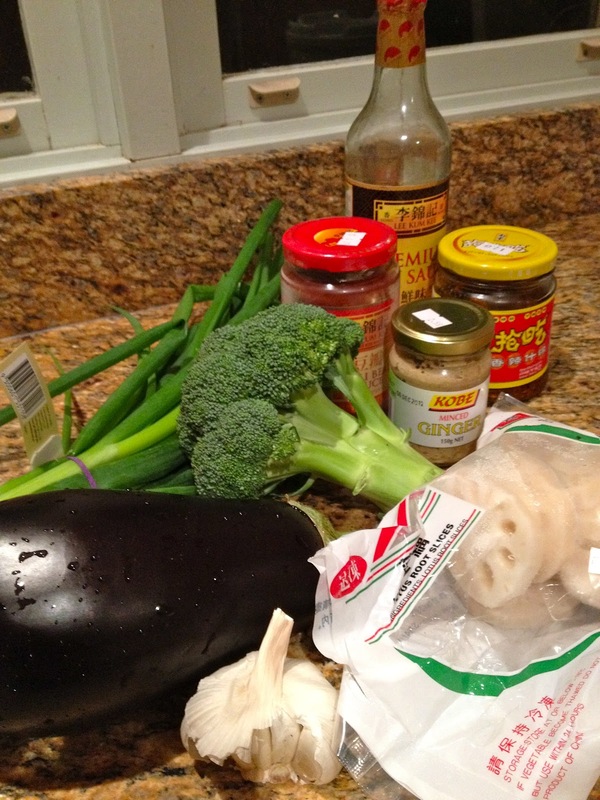 Bring on the next weird ingredient! Suggestions anyone?